French Prime Minister Edouard Philippe announced the government was suspending planned increases in gasoline and other energy taxes slated to begin in January, saying “the tax is now abandoned. The announcement came in response to three weeks of public protests, including riots and clashes with police, against French President Emmanuel Macron’s climate policies. Philippe announced the government was delaying the tax for six months in the hopes it would mollify protestors and end the street occupation and violence. It didn’t. Benjamin Cauchy, a leader of the protests, told the BBC that the government’s initial delay of the tax was “either a disguised political snub or … to make fun of the French and put the tax back in six months,” and called on the French public to continue protesting, which they did. As The Washington Times reports, “On Tuesday, the government agreed to suspend the fuel tax rise for six months. But instead of appeasing the protesters, it spurred other groups to join in, hoping for concessions of their own. The protests took on an even bigger dimension Wednesday with trade unions and farmers vowing to join the fray.” This resulted in Macron scrapping the 2019 gas tax increase entirely. Nearly 300,000 protesters, many wearing yellow vests, took to the streets, including tens of thousands in Paris. Participation in the “yellow vest” protests, named after the yellow vests French drivers are required to keep in their vehicles for emergencies, fell to approximately 166,000 with 8,000 in Paris in the second weekend, but by the third weekend the protest gained momentum and violence. The protests were sparked by Macron’s plans to increase taxes on gasoline, diesel, and electricity, and to enforce stricter limits on emissions from vehicles, in an effort to force people out of their cars and suburban homes, and onto public transit and back into densely populated cities. In Paris, protesters sang the national anthem and carried signs saying “Macron, resignation” and “Macron, thief,” and stormed barricades erected by the 3,000 to 5,000 security forces deployed to guard the presidential palace and National Assembly. 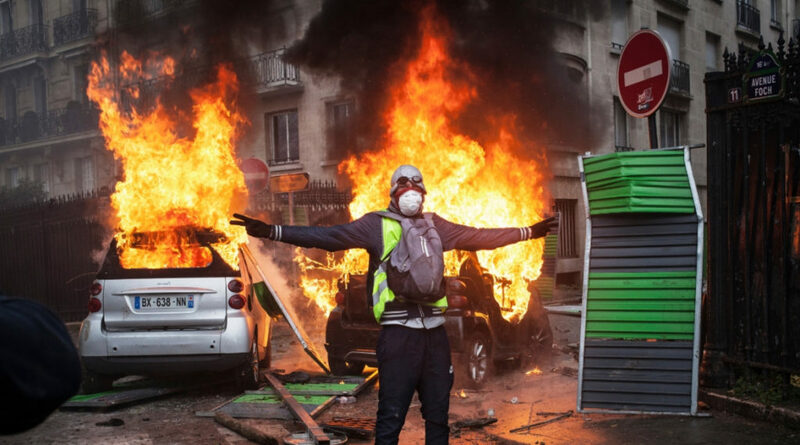 Outside of Paris, protestors blocked highways, overran motorway toll booths, and obstructed access to gasoline stations and shopping malls. On average, French gasoline costs a whopping $7.00 per gallon, and diesel more than $6.00 per gallon, with a majority of the price coming from fuel taxes imposed by the national government. 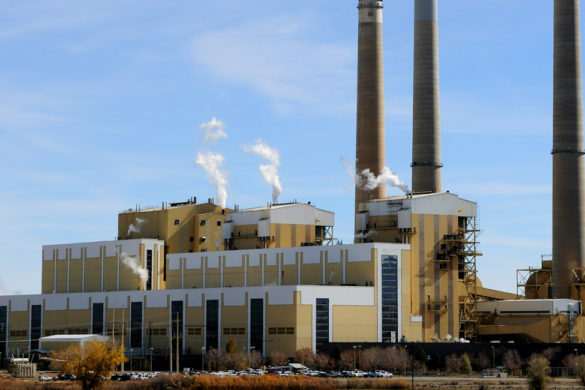 These taxes had been scheduled to increase annually in the coming years, to meet Macron’s carbon dioxide emission reduction goals. The BBC reports more than 130 people were arrested, more than 600 injured (including police), and two people died during the first weekend of the protests alone, as police used smoke grenades, tear gas, and even water cannons to disperse or redirect protesters. An additional 133 people were injured, including one person who died, and 412 people were arrested as the protests and riots gained steam once again on December 2, just as the French government was sending representatives to Karotice, Poland to attend the annual U.N. climate conference to reaffirm France’s commitment to carbon emission reductions agreed to in the 2015 Paris climate agreement. Philippe, who was scheduled to attend the Karotice climate meetings, cancelled his trip to deal with the crisis. He first announced in a December 3 televised address that the government was suspending the scheduled January 2019 increases in fuel taxes, electricity prices, and stricter vehicle emissions controls for six months. A day later, with no cessation in the protests in sight, Philippe announced the tax increases were being suspended entirely. Before Philippe’s latest announcement, Macron had claimed the protest would not alter the government’s energy tax plans saying he intends to keep “‘exactly the same pace’ with his reforms,” according to Fox News. Debate on the Merits, Anyone?